This post is part of a Indigo sponsored program. I received compensation as a thank you for my participation. This post reflects my personal opinion about the information provided by the sponsor. I have learned over the last 8 Christmases what works and what doesn’t. A common mistake I made early on was wasting time looking in the wrong places for the right gifts for my kids. As they grew, we started spending a lot of time in Indigo stores exploring and playing in IndigoKids. It was during those early years that I learned one very important lesson: everything my kids want for Christmas can be found at Indigo. Now, my kids make a wish list based on what they find during our regular visits and I have a lot more time around Christmas to enjoy the season (especially since IndigoKids wraps the gifts for free). 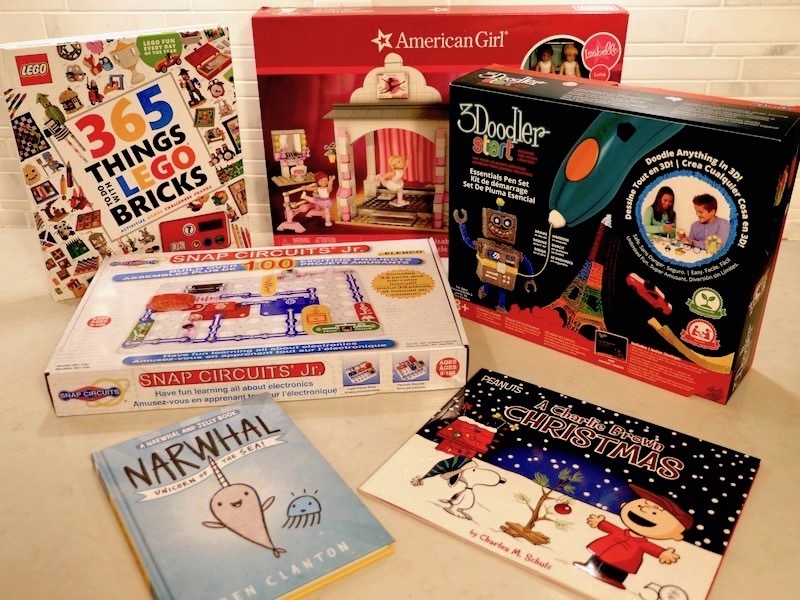 This year, Indigo reached out to my kids and wanted to know what would top their Christmas wish lists. Then, Christmas arrived a little early as we opened up and tested their selections. Here’s what we loved from the IndigoKids holiday collection. 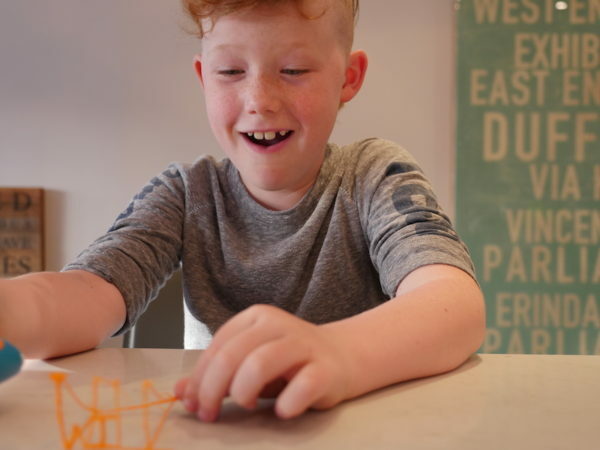 At 8 years old, Will loves Pokemon, Harry Potter and has a knack for science. As we checked out his picks in the last few weeks, I have found that they are all solid choices and great suggestions for kids ages 8-10. Here’s a look at what Will loved. 365 Things to Do with Lego Bricks is exactly as the name suggests. It’s a book filled with instructions for 365 things to do with Lego. Here’s why I love it. Will is one of those kids that can put together Lego in record time. 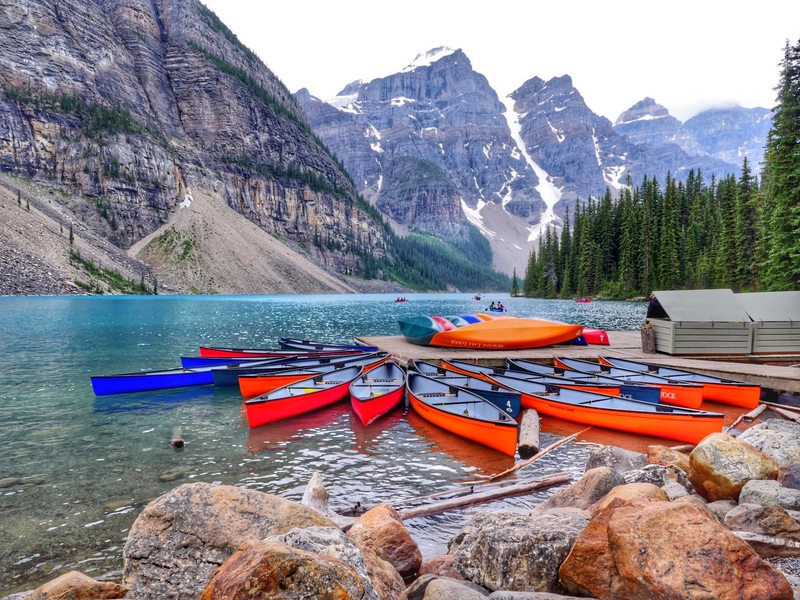 He displays his creations and within days forgets about them. This book has finally showed him that he can build other things with his completed Lego sets. In the past month, his completed Millennium Falcon has been repurposed into cool things like a pinball machine and a shark. Will particularly loves that the book comes with a built-in timer that can pre-select the build challenge and set a time to beat. Frankly, I love that it helps him narrow down the 365 choices into something manageable. I wasn’t surprised when Will added Snap Circuits Jr. to his wish list. He has been asking for the set for over 2 years. I was hesitant to purchase this toy mainly because I had no idea what it was. Turns out it is a circuit board with wires and circuits that combine to make over 100 experiments. Will thinks its awesome. 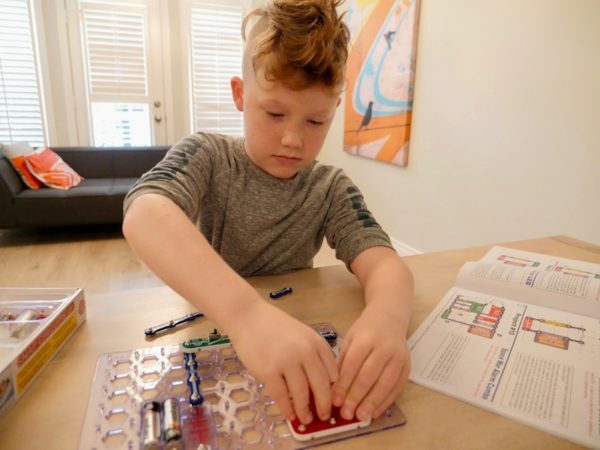 There hasn’t been a day since Snap Circuits Jr. entered our home, that Will hasn’t made something with it. His favourites so far include a police siren and flying saucer. 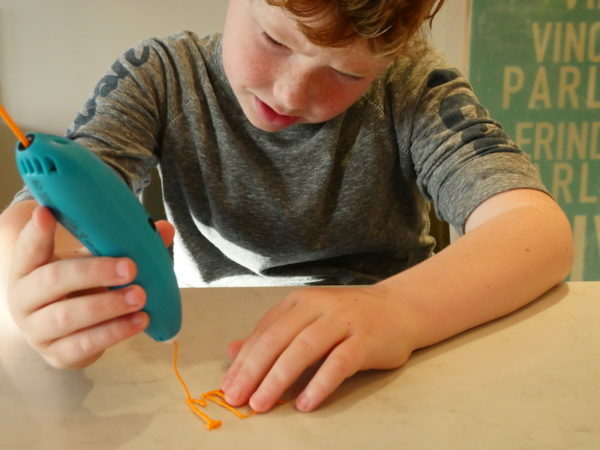 I have to admit, I wanted the 3 Doodler 3D Printing Pen as much as Will did. The concept of 3D printing to me is amazing and the idea of doing 3D art at home was enough that both of us requested this item. When it arrived, we didn’t hesitate to tear open the box. The pen comes with a charger, guide book, and plastic inserts that create the art. We spent a lot of time with the pen and found its a pretty quick learning curve. Once we learned not to stretch the plastic too far and figured out how quickly it dried, we were off and running. Both Will and Charlie (6) love the pen and its a great gift for any crafty kid (or mom). Will was excited when he heard another Diary of a Wimpy Kid book would be released in time for Christmas. He chooses the books during reading time at school and has been waiting for the newest release Diary of a Wimpy Kid: Double Down to hit the shelves at IndigoKids. Coming out November 1st, the book follows main character Greg Heffley’s quest to find something else to do other than play video games. Will is a huge Harry Potter fan. So much so that we headed to IndigoKids earlier this year and picked up his own Harry Potter Box Set as he was wearing the pages out of our collection. He is now reading through the entire series start to finish. I wasn’t overly surprised when he added the Harry Potter Hogwarts Battle game to his list. The game is a deck building game for kids ages 11 and up. While Will has not yet tried it, it’s the type of game that I believe he could play with adult assistance. The game offers players the chance to play as their favourite character and build their decks in order to defeat some of the most formidable evil-doers from the series. I can see a huge chunk of Christmas Day this year being devoted to this game and have added it to our family wish list. The newest release from J.K. Rowling makes not only Will’s list but all of ours. The screenplay of the film hits shelves November 18, 2016 making it a perfect choice for Christmas. Charlie is 6 and loves all things cute. Her room is filled with selections of Shopkins, American Girl dolls and various other adorable toys. 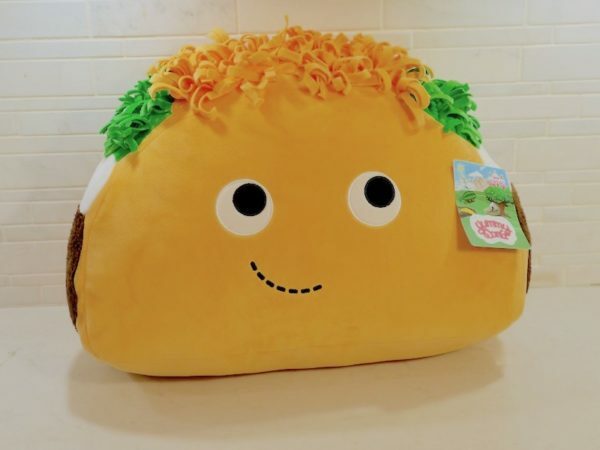 When I first checked out her list, I wasn’t too surprised to see that the first item was a giant smiling taco. If you haven’t heard of Yummy World, it’s essentially a place where food comes to life in adorable ways. Charlie first encountered Yummy World through YouTube and hasn’t stopped talking about it since. I must admit that when Charlie’s Yummy World taco arrived, I was also smitten. 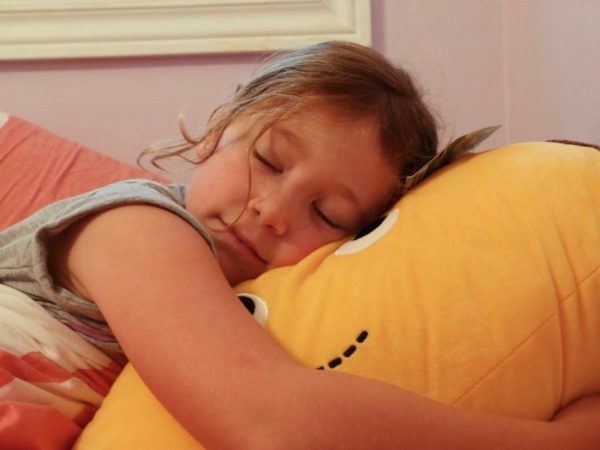 The plush was soft and clean and made of good quality materials. It has since become a staple at most of our family meals, movie nights and story times. 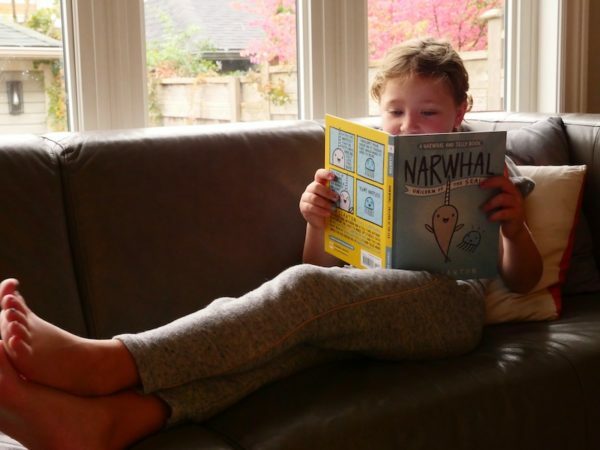 Narwhal: Unicorn of the Sea is a book about the friendship between a narwhal and a jellyfish. Neither of which believe the other is real. The book is in comic book format and contains incredibly cute drawings. It’s a perfect selection for both boys and girls between the ages of 5-8. Charlie is easily able to read it on her own but loves to show us all the pictures that make her chuckle. For kids who loved the The Day the Crayons Quit and The Day the Crayons Came Home, the Crayon’s Book of Colours is going to be a guaranteed hit. This time the crayons get together to celebrate their owner’s birthday by making him a card. Each crayon of course has something unique to add. I love when books make my kids laugh out loud and this series always keeps Charlie giggling. As the list of cute continues, Zoomer Kitty may be my favourite item. Charlie has concluded that this kitty is way better than an actual cat and I must admit that I agree. This cat sings and dances, cuddles, and has eyes that change colour to let you know how she’s feeling. She has sensors in her head, ears and cheeks and follows your child’s movements using True Vision Technology. Boy or girl, your 6 year old is going to love it. I knew Charlie’s list would include a few things American Girl and was happy to discover she requested Isabelle’s Dance Studio by Mega Blocks. While the studio is recommended for kids 8+, Charlie was able to assemble the kit with assistance from Will. The set once assembled is quite sturdy and folds to neatly be tucked away. When opened back up, two American Girl figures can attend dance class, get ready for a performance and hit the stage. Charlie plays with this set daily and it has been a hit on several playdates. Charlie being Charlie loves Charlie Brown. Each year we set up a tiny green tree in her room with one giant red ball. Thus, this book was a perfect fit for our Christmas collection. 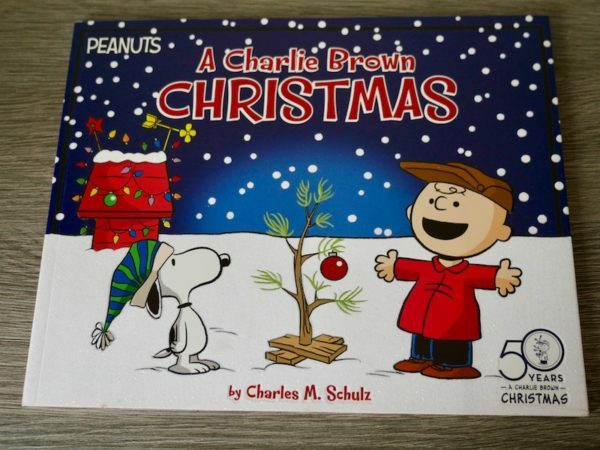 The book was released in September celebrating the 50th Anniversary of the animated Christmas special. It makes for a great bedtime story to kick off the season. I am a huge proponent of teaching kids coding. The best set for kids that I have found is the Osmo Coding Set. The set works with the previously released Osmo Genius Kit and features an adorable blob name Awbie. Kids learn to make Awbie move through a forest to collect strawberries by using basic coding skills to program his steps. We picked up the set when it was first released earlier this summer and both Charlie and Will still sit down and use it almost daily. It has helped Will to take his skills further as he tries to use coding in games like Minecraft. Charlie prefers to stick with Awbie and can now make him to a variety of fun moves as she continues through the levels. Check out more IndigoKids items handpicked for kids by Canadian Bloggers here.